Stylish, match-anything and a must-have for any time of year. 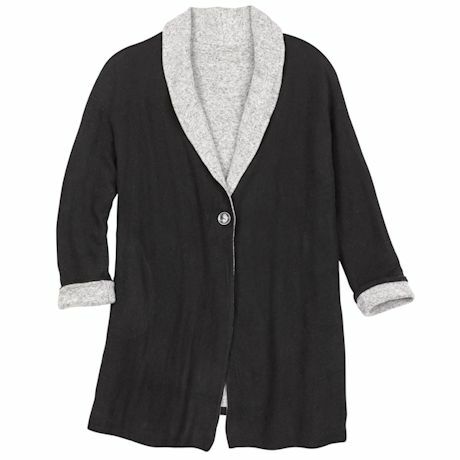 This fleecy two-in-one long-sleeve jacket is black on one side, heather grey on the other, with a single button closure. 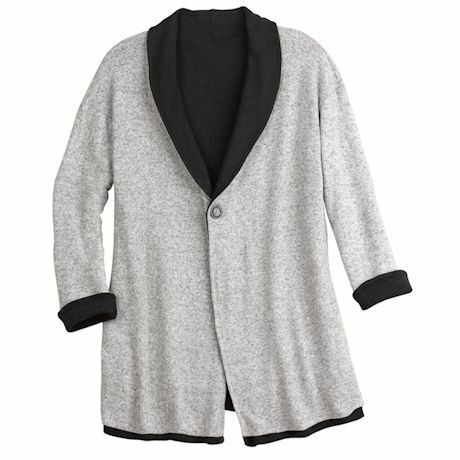 Shawl collar and side-seam pockets. Rayon/poly/spandex. Imported. S/M, L/XL, 1X/2X; 34"L.